At the University of California at Berkeley I trained in medieval European history and the history of Islam in the Middle East. My primary research interest is medieval Spain, particularly during the period when most of Spain was under Islamic rule, roughly 700 to 1200. My first book looked at Christian conversion to Islam in Spain around the year 800. At present I am completing a second book on relations among the different ethnic groups (Arabs, Berbers, and Iberians) and religious groups (Muslims, Christians, and Jews) who lived in Islamic Spain. My main teaching fields are pre-modern Europe and the Middle East, with an emphasis on history of religion. I have also spent a number of my twenty years at the University of Nebraska doing administrative work, including a four-year term as Associate Dean for Academic Programs in the College of Arts and Sciences. 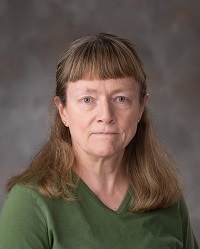 Co-investigator with Anne Kopera, Initiative for Teaching and Learning Excellence, $25,000, UNL Vice Chancellor’s Office, “Changing the Culture of Arts and Sciences Advising." The Martyrs of Cordoba: Community and Family Conflict in an Age of Mass Conversion, University of Nebraska Press, 1995. “Marriage, Kinship, and Islamic Law in al-Andalus: Reflections on Pierre Guichard’s Al-Andalus,” Al-Masaq, Volume 20, no. 2, Sept. 2008, 161-177. “With Heart, Tongue, and Limbs: Ibn Hazm on the Essence of Muslim Faith, Medieval Encounters, Fall, 1999.